Vietnam Vert Voyages is a Vietnam travel specialist in customized tours. Our mission is to offer a different way of traveling, according to Vietnam Tourism and Fair Authority. Our approach is in a logic of sustainable development where we stay in the center of the Man, Nature and the Meeting with the local people in strict respect for their lives and the environment. After a long journey of discovery and touring throughout Vietnam, this will be an ideal extension to the seaside on a beautiful beach before returning to daily life. Discover North Vietnam through many landscapes as you've never seen. Go to meet locals to share and know the warmth of the people who open up their doors for a few evenings and nights. The tour will take 15 days to complete an initial discovery Vietnam from North to South, from Hanoi-the energetic capital city to Saigon (Hochiminh city)- the pearl of Far East. You will be immersed with Vietnamese daily life and culture. All of Vietnam beauty will be presented in this tour, the emerald water of famoud Halong bay, the elegance of forbidden kingdom Hue, the charming small town Hoian and many more. 11 day stay in perfect harmony with nature and culture. Some UNESCO's heritage are present in this tour to make your trip an unforgettable experience! From Hanoi, the bustling capital to the romantic Halong Bay, the eighth wonder of the world or the national park Phong Nha full of mysterious caves and precious historical relics. Discover the Cham culture and return to elegant imperial city of Hue. This 10-day trip will allow you to dive into the scenery of Northern Vietnam. Walk through the mountains and share the daily life of the Tay. Spend the night in their typical house on stilts. Travel through the beautiful scenery of the mountains and the emerald waters of Halong Bay. We have prepared a small discovery tour with major historical and archaeological sites in Siem Reap recognized by UNESCO as world heritage. With this extension, you will have the opportunity to take a cruise on the Tonle Sap Lake to discover the life of the local population. 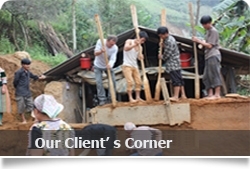 - Help you discover the life of Vietnamese through exchanges with local people and direct participation in their lives. - Our relationship is more than commercial, it's a great pleasure for us to help you discover the originality of people, culture, food. - A friendly travel in small groups with our tour guide and logistical support on site 24h/24. - You will be provided entertaining and balanced travelling schedule: nature, culture, meeting with locals. - Always ready to listen and adapt to all situations. - Search continuously for new tours and travelling tracks. 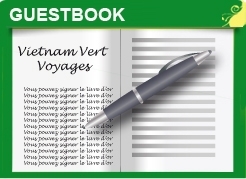 Discover Vietnam through Vietnam Vert Voyages. Let's discover, find, meet, and share. 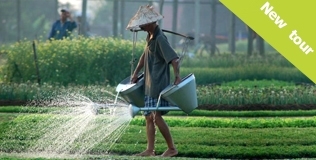 Copyright © 2009 - 2013 Vietnam Vert Voyages - Travel agency and discoveries. All Rights Reserved.